Six-Pack Abs In ACTION to Sell Food? Six-Pack Abs Food Stall Vendors IN ACTION ~! 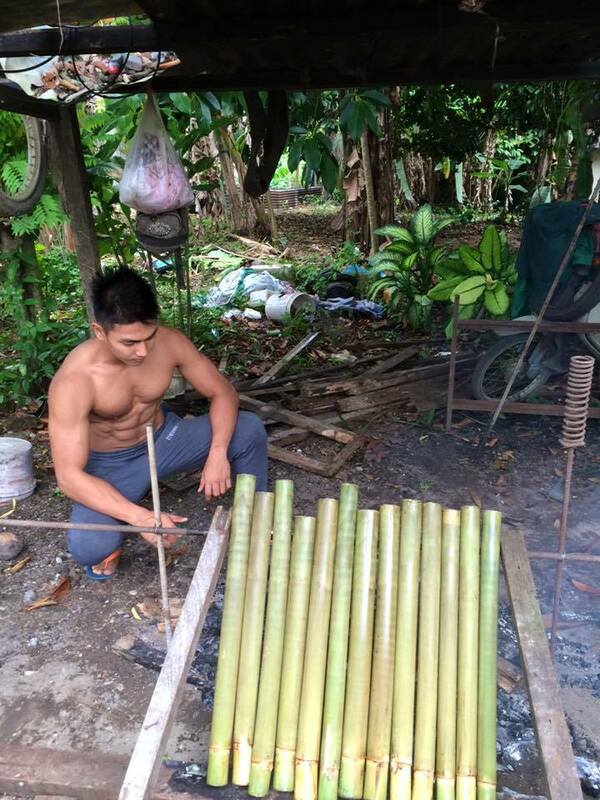 Home » Articles » Six-Pack Abs Food Stall Vendors IN ACTION ~! This article is republished from an article in Says.com, written by Samantha Koh. Unless you’ve been off the grid in the past few months, you’ve probably seen photos of Asia’s most good-looking food vendors circulating on your social media feed. In fact, Says.com even curated a list out of the viral fad. Before long, the phenomenon reached Malaysian shores. 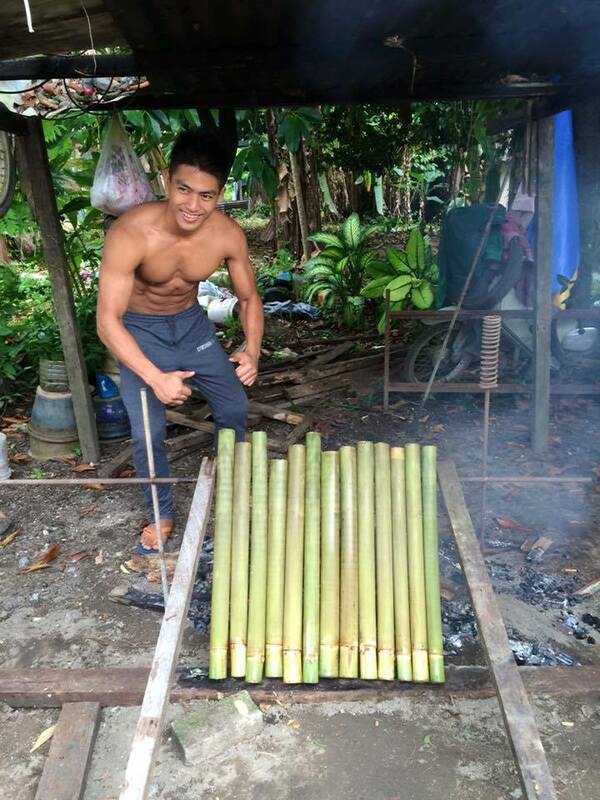 Fitness instructor Jordan Yeoh decided to help out in a durian stall and became Malaysia’s first ever hot durian seller. 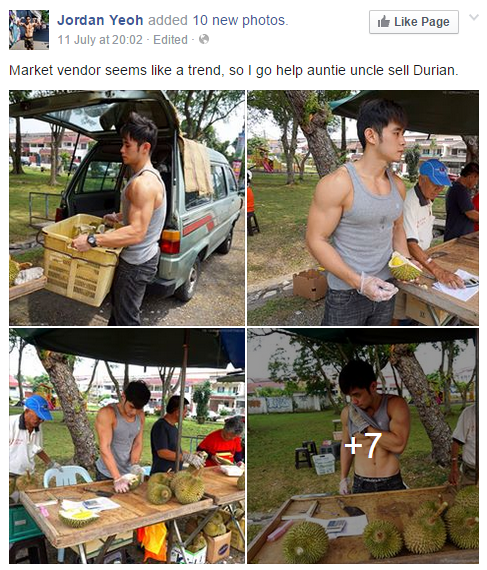 Market vendor seems like a trend, so I go help auntie uncle sell Durian. 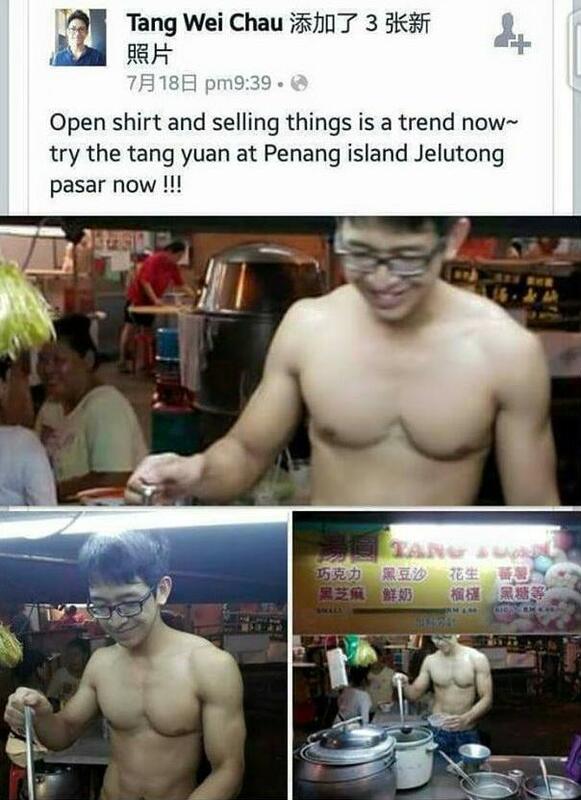 And now, someone else is also jumping on the bandwagon by stripping off his shirt to help out in a local food stall. Glorious washboard abs aside, it’s time for a little serious talk. This whole thing is getting waaaay out of hand… and that’s coming from a red-blooded, somewhat straight woman (me). Before you call me out for being a hater, hear me out. First, let me just say that I like ogling at well-sculpted bodies as much as the next straight girl, or anyone who admires men’s abs, I’m not gonna discriminate here ;). But there comes a time when it becomes too much of a good thing, y’know what I mean?Six-pack abs are like cheesecake – a slice or two a day tastes pretty amazing after a stressful day at work, but you’re probably gonna get pretty jelak of the dairy taste if you gobble down too much cheesecake. Unless you’re one of those people who CAN finish off a whole cheesecake without feeling sick, then please substitute cheesecake for something you can only stand in small doses… like Musang King durian. Or blended celery juice. Also, it really isn’t necessary to strip off your shirts before cooking/prepping/serving food. Hygiene risks aside, you don’t have to take off your clothes to appear attractive to the masses. After all, the original hot vendors are mostly clothed when they are at work… and people are still flocking to their stalls! Image via MyNewsHub Abang Sado a.k.a. 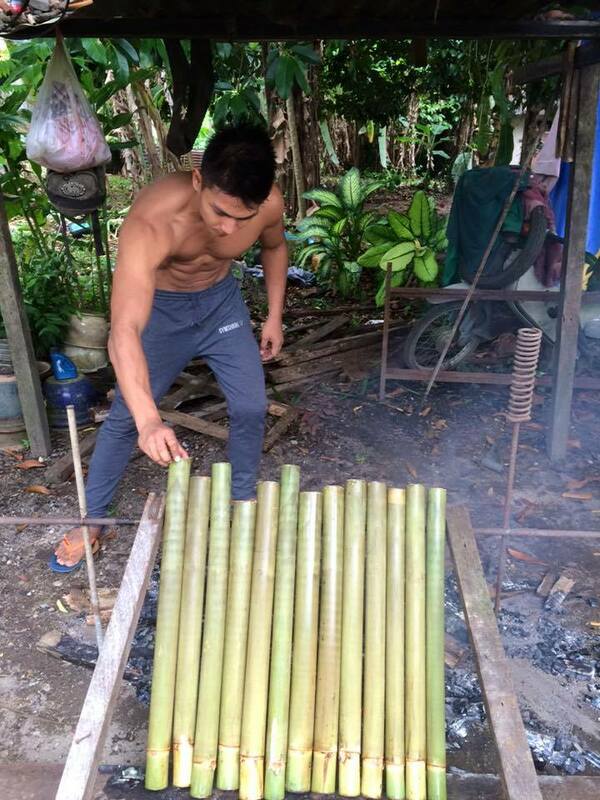 Malaysia’s very own hunky butcher proves that you don’t have to disrobe to melt the hearts of many. Last but not least, as this is the thing that irks me the most, this ‘hot vendors’ thing kinda loses its appeal when the ‘vendor’ initiates one-day stints just to take photos of themselves helping out in a food stall. Again, not to be a hater, but that kinda gives off an ostentatious vibe.